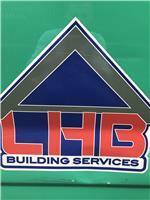 LHB builders have been in the building business for 17 years. We have experience and knowledge and we have a very high standard that we aim to achieve. .
We work with architects, structural engineering all over London. Barnet, Ealing, Greenford Hillingdon , Harrow, Ickenham , Pinner., Ruislip, Uxbridge, Watford, Richmond, Chiswick, Wimbledon.